WORMWOOD PAYS TRIBUTE TO THE GREAT LEMMY KILMISTER! A solemn occasion brings together the Wormcrew this week. 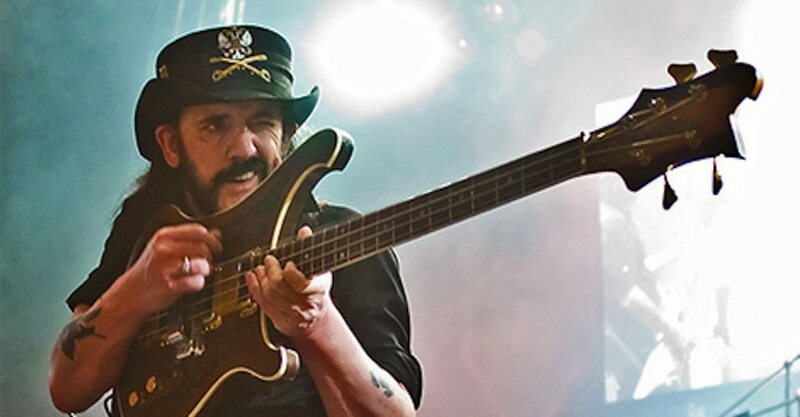 When LEMMY of MOTORHEAD passed away December 2015 after 70 years of raising hell and inspiring metalheads everywhere, it had a profound effect on many of us. So we figured it was only fitting and proper that we show our respect to the old Iron Horse. That tribute is our main feature this week. THERON MOORE not only shares his own feelings, but he talks to Midwest rockers like JERRY SOFRAN of VANISHING KIDS/FORCHRISTSSAKE, DAN HOBSON of KILLDOZER and BRAD SKAIFE of IMMINENT ATTACK about what Lemmy meant to them. We get a rare visit from SOLOMON G who has a very personal look at his longtime association with Motorhead and Mr. Kilmister. THE GREAT SUN JESTER uses the occasion to do an analysis of one of Lemmy's more unusual creations, the "Another Perfect Day" album from Motorhead. DARK STARR and RUSTY COFFINNAILS pay tribute in their own way while I, DR. ABNER MALITY, look at the long rock n roll history of Lemmy stretching way back before his Motorhead and even HAWKWIND days. I don't know if this is the greatest testimonial to Lemmy you'll ever read, but it's from the heart and uniquely Wormwood, so dive in and check it out HERE! Looking forward, I can tell you longtime headbangers that I grabbed a fresh interview with the leading madman of Canadian metal, LIPS from ANVIL! Also working on speaking to one of the longest lasting and most unpredictable Finnish death metal bands...more to come! We have a larger than usual offering of the Torture Chamber this week, so your appetite for destruction better be pretty deep! SEVEN SISTERS OF SLEEP "Ezekiel's Hags"
KHTONIIK CERVIIKS "SeroLogiikal Scars: Vertex of Dementiia"
MOLOKEN "All Is Left To See"